We have booming golf communities, such as Diamondhead, that offer an exclusive feel. There are up and coming coastal cities like Bay Saint Louis with a lively waterfront main street packed with bars, restaurants, and shopping that fades into a secluded beach. As far as casinos go, Gulfport has the Island View and Biloxi offers the Hard Rock, Beau Rivage, IP, Golden Nugget, and many more. Ocean Springs has the most beautiful downtown as well as wonderful school districts. If you are interested in more rural country living, you must see Vancleave, Lucedale, and Saucier. We also have industrial cities like Pascagoula which offer many jobs with big time national players such as the Chevron Refinery, Ingalls, and VT Halter Ship Builders. Here on the Mississippi Gulf Coast we have something for everyone, from a young couple starting a family, to someone looking to retire. We invite you to sell your home and come live in tranquility. Rovira Team Realty covers the entire Mississippi Gulf Coast with offices in Pascagoula, Moss Point, Biloxi, Bay St. Louis, and Diamondhead. Our agents are available seven days a week to show you homes in person or to answer any of your questions. 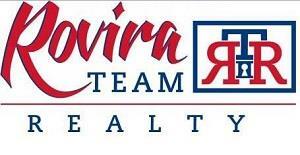 L. Rovira, Broker/Owner of Rovira Team Realty.